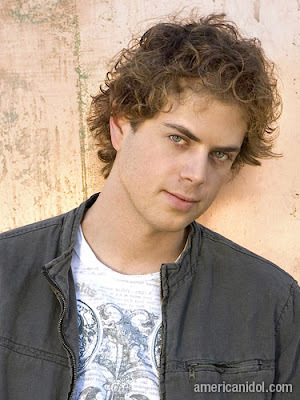 He is one of the top 12 American Idol finalists. I love his voice and the choice songs he sang. I will be looking forward to see the next episode. He is 28 years old from Milwaukee, Wisconsin and auditioned in Kansas City, Missouri with his buddy but, unlucky, his friend was out before the 36 picked. Anyway, this week, he sang "Hero" by Mariah Carey and he belong to Group 1 ... elimination round is ticking! He is my favorite. Group 2 will be next week and my favorite is Jasmine Murray. I hope she chooses the best and appropriate song and delivers it beautifully. She is 16 year old from Starkville , Mississippi...ohh yeah , just nearby...LOL! She auditioned in Jacksonville, Florida. He is Scott McIntyre, 23 years old from Scottsdale, Arizona and auditioned in Phoenix, Arizona. He is sight impaired. He is blind. Watch out for him in group 3. He is very talented. He plays piano and the voice is really great.